BIG IDEA: WITH CHRIST I CAN OVERCOME ANYTHING. 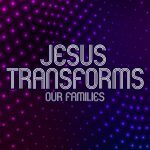 AIM: To teach the children that when they put their faith in Christ he can help them and give them the power to overcome any trials, problems or disasters that they may face. 1) Mighty Warriors. Have tin foil and get children to work in teams. They must choose someone in their team to wrap in tin foil – to make them into a mighty warrior. The best team with the most creative mighty warrior is the winning team. 2) Sergeant says. The leader acts like a soldier and directs the children what actions to do. When they say ‘Sergeant says’ the children must respond with the action. Yet when they just direct with the action the children should not do the action. 3) Balloon Pop. Tie a balloon to each child’s foot with string – make sure the string is long enough so the ballon drags on the floor. 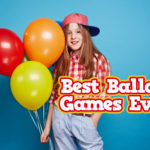 Then the children must try to pop one another’s balloons but protect their own – by moving around the room. The last player standing with their balloon in tact is the winner. BIG VERSE: No, in all these things we are more than conquerors through him who loved us. Romans 8:37. Romans 8 was written by Paul. Paul was the Jewish man that hated Jesus until Jesus appeared to him on the road to Damascus. Then Paul became one of Jesus’ greatest followers! Paul writes these verses to encourage the church in Rome – who he had not yet met. Watch the Mandisa video ‘Overcomer’ here. Our passage today says that we are ‘more than conquerors’ or ‘overcomers.’ What that means is that through Jesus; his love for us, his great power and his death on the cross we can face and battle through any problem, trouble or attack that we might face. So imagine a warrior that must get past his enemy to win the battle. He could run away – or he could choose to fight and win the battle! Well, just like that warrior, we can win the battle that we face – whether it is to love our enemy even when they seem to hate us, things going bad at home, too much homework, or any other problem – we know that we can win with Jesus on our side! We can ask for God’s help with any problem or trouble that we face and He will help us win and overcome it! We don’t need to give up or run away because we know that God is on our side! A conqueror or overcomer is a warrior who wins the battle – and conquers or overtakes their enemy. If you have ever played chess you will know what it means when you overcome your opponent and you get to keep their chess piece! 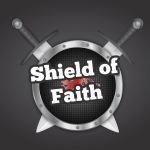 Well, it’s the same sort of thing here – God says we are MORE THAN conquerors with Jesus! That means not just defeating our problems – but defeating them with ease, with patience and in God’s timing – giving God glory for the win! It is only because of Jesus, his spirit and his power that he has made us more than conquerors! What we need to remember is that our real enemy is the Devil – and so he is the one God helps us to overcome! We don’t fight against people – but against his power over the world. Through Jesus we can overcome him! 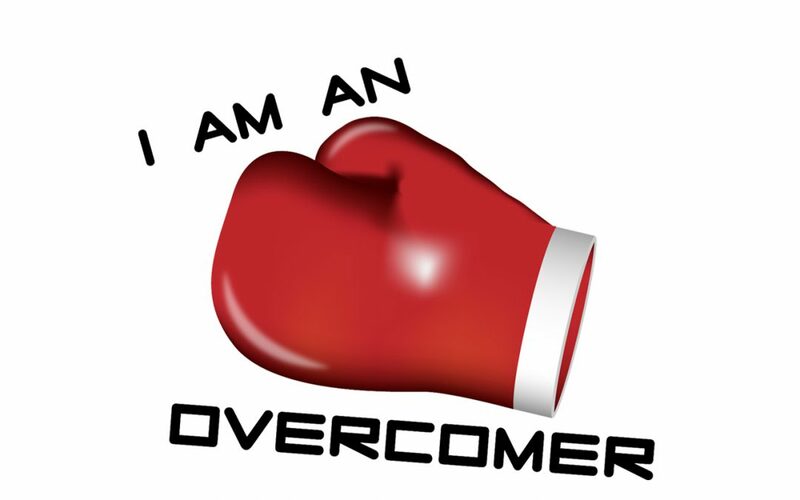 Who were some of the overcomers in the Bible? Get children to play ‘heads up’ by putting posit it notes (or making them yourself with paper and tape) on their foreheads. Children cannot see the paper once it is on their forehead and so must questions until they can recognize which Bible character is on their paper. Jonah – overcame the problem of being eaten by a whale when he humbled himself to God! Jesus – overcame the devil and death by dying on a cross and being raised to life 3 days later! Peter – overcame the fear of walking on water by focussing on Jesus. Whatever our problems or troubles, God can help us overcome them and defeat the enemy in that area of our life! Imagine you were someone who just received this letter from Paul and you read the words in Romans 8:37-39. It tells you that you are ‘more than a conqueror’ in Jesus and that nothing can separate you from the love of Christ. How do those words make you feel? You will need plenty of playdoh for each child. Ask the children to sculpt a warrior into playdoh. Ask them to pray that God would help them to see themselves as those warriors and that they would remember that God is their power and help when they face battles they need to overcome.